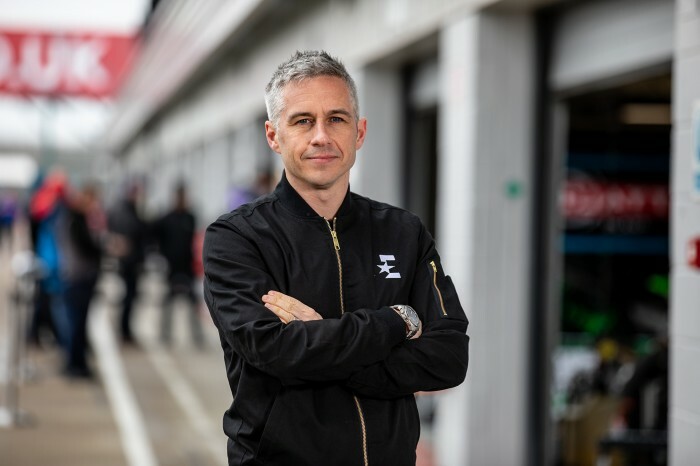 Matt Roberts is the acceptable face of motorcycling racing in Britain, anchor hosting Eurosport’s Bennetts British Superbike and WorldSBK coverage as well as fronting ITV’s Isle of Man TT schedule. Twinkly of eye and cheeky of smile, Roberts seemingly popped out of nowhere, via lying about being mates with James Whitham, to land what could be described as the best job in motorcycle racing when he took over from Tony Carter as the studio main man, which prompts the question, who the hell does Matt Roberts think he is? Matt, you’re the face of motorcycle racing in the UK. You present BSB, WorldSBK and the TT. How did you get from Huddersfield school to motorcycling cool? That’s not entirely a coincidence. I did Spanish and Media Studies at University and I wanted to get into sports journalism. I saw an advert in The Guardian on a Monday to work for Dorna. That was at the end of 2000, so a long time ago now. It was really a dumb thing, then, to go to Spain and try and do something like that. I was probably the first English person out there working for Dorna. The funny thing is that I was going out with a girl at the time – who is now my wife – whose uncle was in James Whitham’s Po Boys. I used to go and watch them and stuff. He didn’t know me from Adam, but in my interview with Dorna I told them I have a particular interest in grand prix motorcycles because of Whit who in ’99 was still doing grands prix until he bust his pelvis. So sidled up to Whit and I said, “Hi James, you don’t know me, but I’m going out with Nick’s niece and my boss through that window thinks I know you.” He just slapped me on the shoulder and he was like, “Oh, how are you doing?” He recognized the accent. All these years later we ended up working together, which is nice. So that’s how I got in with Dorna, and then it just all went from there. Had you an interest in motorsport and motorcycle racing before, or was it something you saw as a way in? No, I just wanted to get into sport, if I’m honest. I did have an interest but probably no more than any other sport. I used to watch James. I used to watch Superbikes a little bit back in the ‘90s like everybody did. I lived in Spain as part of my degree for a year. I went when Criville won the championship. It was big news in Spain at the time and GPs were free to air on TV. So I watched that whole season. So I did have a bit of knowledge and knew who Valentino was and stuff like that. But it was never a goal of mine to get into motorbike racing. I just wanted to do sports journalism. There wasn’t particularly a plan to get into TV either. I just knew that I liked sport and I liked writing and wanted to travel and it was a perfect at the time. How did TV come about? Dorna produce the world TV feed and there was an English commentary that went along with that. It’s what Toby Moody did before he did Eurosport. After Toby left, they asked me to have a go at doing it. I just made it up as I went along, really, I didn’t know what I was doing. But I had a bit of help of people like Nick and Dennis. Then I really liked it. When the BBC came in initially they took highlights and they used the world feed commentary in the highlights. So the BBC kind of knew who I was, and then I eventually got a bit of an opportunity with them to do the pit-lane reporting with Suzi Perry. Once I started that, the live pit-lane stuff, I really knew that’s what I wanted to… I felt I could do it and I really wanted to have a go. There’s a big gap between November and March, what goes on in the Roberts household over winter? I’m a big football fan, and I play still as well on Saturdays. I obviously spend a bit of time at home. This winter I was busy. At the end of the season, I presented Gran Turismo game finals on YouTube, which was really cool to get into something a bit different. So I did two or three weekends of that. I did the FIM awards in Andorra as well, so pretty much up to Christmas I was busy. The last couple of years I’ve done Steve Parrish’s autobiography and I did Casey Stoner’s prior to that. I’m doing Shakey’s with him right now. I’ve been really busy. Every spare day I’ve been in my little office writing, really. Then in-between, usual stuff, moving house, looking after the kids and trying to stay busy. It’s weird. People often say that. ‘What do you do?’ I struggle to remember because you feel like you’ve been busy, but not really done that much. But I’ve been busy writing. I love writing. Like I said, from the very beginning that was what my interest was in, really. I think always kind of I’m doing it. It plays quite a big role in TV, writing your own scripts and just being a bit creative. I really like that side of it. So that tends to be the idea during the winter. Doesn’t always work out like that. I had a couple of winters ago where I had nothing. I wasn’t doing a book and thought I could do with some time off. Then I’d been off for a bit and got pretty depressed. So I ended up doing a diploma in interior design. They are. I find it fascinating, to be honest. The whole eSports thing, there’s a lot of cynicism around it, and we’re probably all a little bit cynical about the thing because we’re like, ‘Well, is it real sport?’ But at the end of the day, it’s a legitimate product because the numbers say that it is. There’s a huge interest in it. It was interesting from my side, having worked on bikes for so long where obviously budgets are tight and everything is accounted for, to go into something like that where you’ve got Kazunori Yamauchi who is the creator of Gran Turismo. It’s a game that pretty much not saved PlayStation but certainly made a massive contribution. He’s on the board of Sony and he owns Polyphony. He has carte blanche to do whatever he wants. If he wants to go and spend two million quid on putting a Gran Turismo event together, no one’s going to tell him no. So that’s what he does. It’s amazing the facilities that they have there to do it. If they want to do something, they just do it. It was really interesting to be a part of that and have a little bit of a glimpse of what the future is like, really, in terms of YouTube broadcasting, Twitch and all that stuff, and also eSports as well. I was really hoping to do more. I got offered it, they’re going to do seven events this year, but they’ll clash with Superbikes, so I had to turn it down. One of those where you just want to be in two places at the same time. You’ve learned a lot about bike racing over the years and clearly have huge passion. Let’s put that to the test. Who are your Showdown Six for 2019? Well, everyone’s got an idea but we’ll probably all be wrong. It’s difficult, isn’t it? You could pick six out of easily ten and not be wrong, or be completely wrong, so it’s hard. I would say at this stage, I think that people are going to be surprised by Scott Redding. That’s what I’m feeling. I think there are a lot of people suggesting that he’s not going to adapt to BSB or he’s going to struggle at certain circuits. I don’t think he will. The way the championship is structured he could seriously not bother coming to Oulton Park or Cadwell, and still comfortably make the showdown. Then he’s got Brands, where he’ll have already been and Assen where he’s been a million times, and Donington. He’s my favorite for the championship, and then take your pick. Glenn Irwin, Mackenzie and O’Halloran, Redding, Fores, and Bradley Ray. You’ve got to leave a big name out, haven’t you? I left Brookes out. Just don’t know what’s going to happen there. Big season for him, isn’t it, Bradley Ray? He was incredible in the first few rounds last year, and the almost did nothing for the rest of the season. He still made the showdown comfortably though, pretty much. I think it’s a big season for him. I still think he’s got the talent and he’s young enough to learn, get that consistency, but it’s up to him to do it. You never know. We all make these predictions but none of us really know, do we? Redding is special. He won a grand prix at fifteen. He was our big, bright hope. I think he’s the most talented British rider certainly in the MotoGP paddock. I would say that as a natural talent he’s got more going for him than Cal, even though Cal’s tenacity makes up for that. Obviously, that’s not taking anything away from him. I just mean raw talent. Not just talent, but a motorcycling education, if you like, coming through the classes. He’s got that pedigree….